Three or Four Implants in Lower Right Quadrants? Fifty-nine year old lady requests restoring the lower right quadrant (Fig.1). 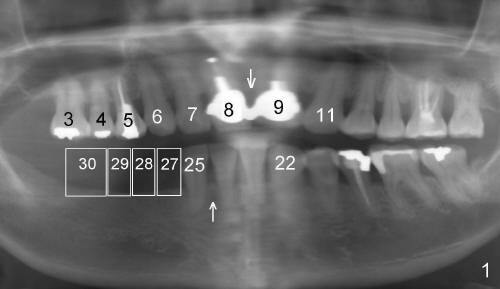 There are multiple missing teeth: #2, 10, one of lower incisors and #27-31. Upper and lower midlines do not coincide (arrows). 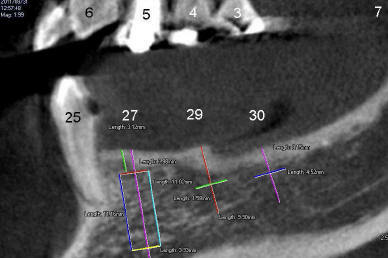 It appears that there is room to place 4 implants (#27-30 in Fig.1). Her ridge is atrophic in the lower right quadrant (Fig.2). Initial wax-up shows that there is room for 3 relatively large teeth (Fig.3). 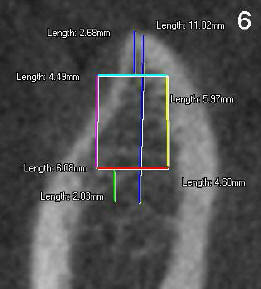 Fig.4-6 are CT coronal sections through the teeth #27,29, and 30, respectively. Implants are placed with bone expansion. Fig.7 is a sagittal section. 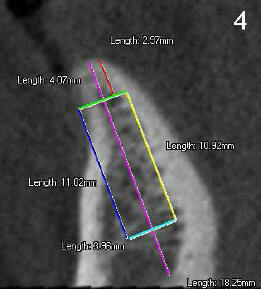 The diameter of the implant for #27 is 4.0 mm, those for #29 and 30 are 4.5 mm. 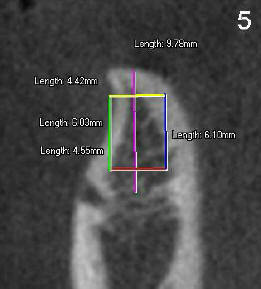 It appears that there is still room for a fourth implant for the quadrant.